Prodos Games LTD Forum • View topic - How will you base your models? Post subject: Re: How will you base your models? The only digital camera I have at the moment is incapable of taking a detailed enough pic, hopefully I will soon be able to borrow a friends Iphone in a couple of weeks. 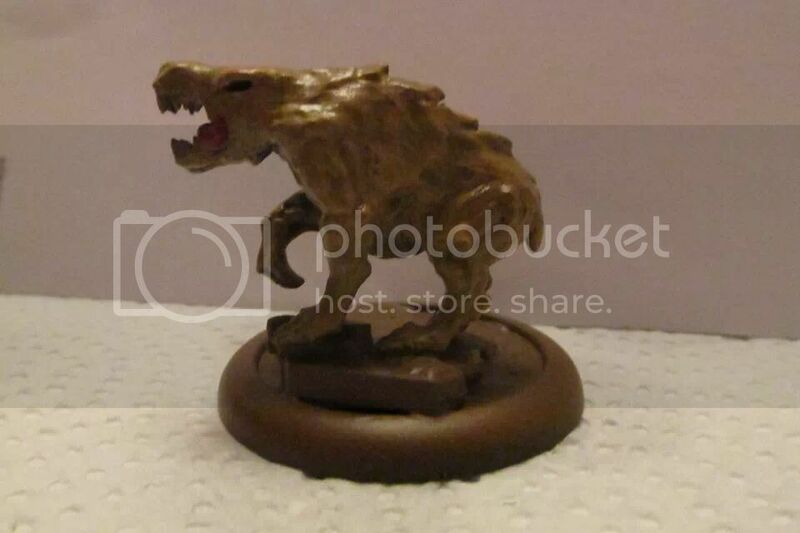 I just got 5 hunters and 5x40mm bases so I am going to play this week with. I may post pictures of everything soon or maybe only the bases (I don't know if I am allowed to post pictures of other miniatures competitors). But thinking 3 months in advance I am seriously thinking in spending even more money in this stuff. or from another kickstarter witch I didn't suport because I discover KS with AvP, this looks awesome even if it is freaking expensive. I want to prepare colony terrain as well as jungle, including some animals I am doing from scratch, similar to lumberjack but not based on videogames. So the bases are going to be a mixure of both terrains+hive terrain. Good stuff Harec. Please post more, so I can totally rob your ideas. I have stepped up my natural basing for prey models after the Kriltic was deemed blandly based. My current W.I.P Briar Wolf has nice rocky perch which once painted should add a nice depth in contrast to the grassy flat. It was a quick late lighted picture but you can see the level of the rocks compared to the flat. Howling success mate, nice beast. That will be quite a pack you`l have. Jackal thans I will post some tips and tricks when I can, just waiting moderation to tell me if I can show the minis. I am right now doing some jungle bases witch I am very happy with, and very easy to do. On a topic note does anyone know if there is a range of round lipped clear bases? If there is a selection in sizes I may switch to them instead just painting the lips. Ive been on the hunt for bases as well, haven't seen any. They seem really hard to find here in the US. I have no idea how much shipping overseas would be.